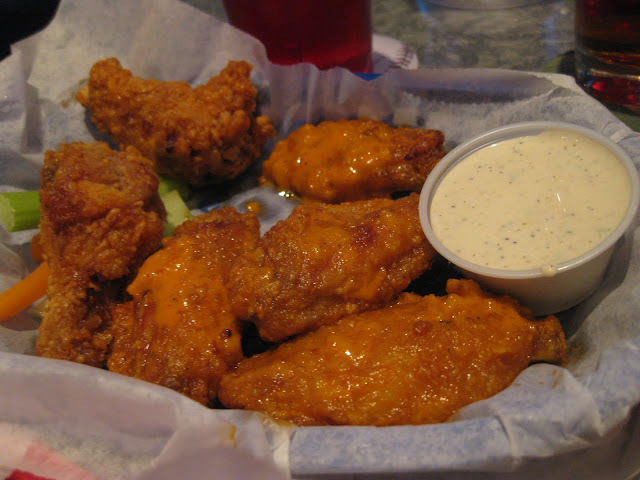 My thoughts on wings: they must be crispy, saucy, hot and come with a good, creamy dressing (Ranch or Bleu cheese dressing are both fine with me). And that's it really! Why is it so hard to find a good wing in town, then? A recent Sunday Funday had M. declaring a 'wing off.' First, we hit up Sebago Brewing Company in the Old Port, the home of the previously held best plate of wings in town. 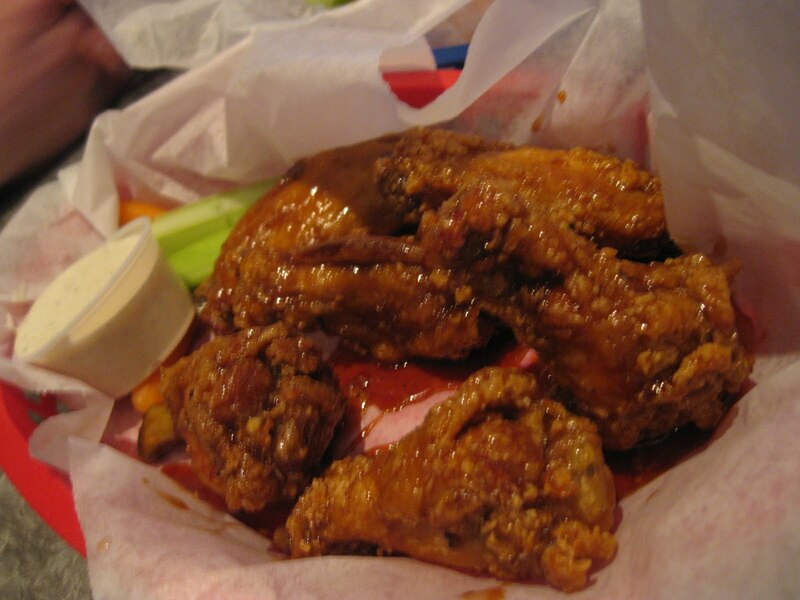 Pluses: usually crispy, plenty spicy, will bring you ranch, bleu cheese or both, and... the best part: wings are served whole. *Insert flapping arm-as-a-chicken-wing demo here* (think about it...) So for $7.99, a half dozen is really a dozen! 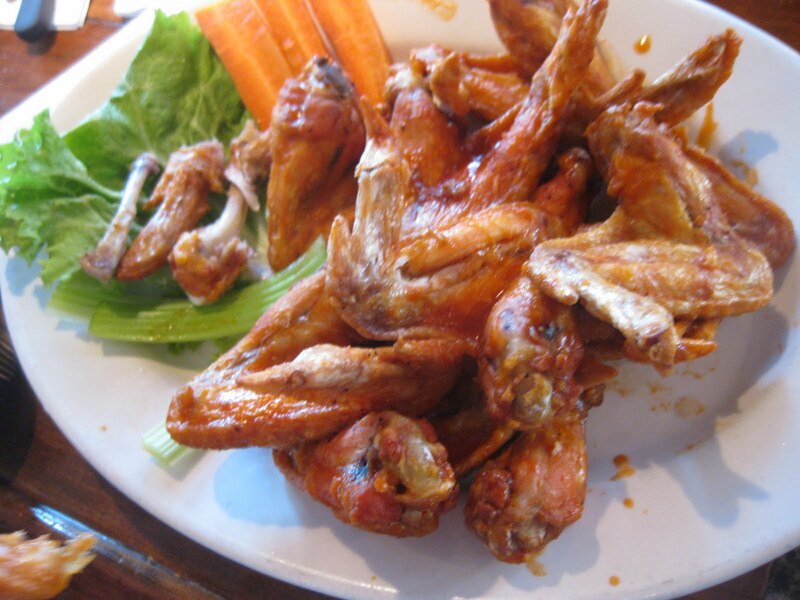 These are my go-to wings. Winner! Right? Right?? Not so fast. And... even worse, they come either breaded or smoked. I say, no thank you to both. But, forcing my hand, I'll go with breaded. Just hoping it's not too breaded. We ordered two half orders: Buffalo and Redneck (maple and Buffalo). At $6.49 for a half order, and a half order being 6 of the wing pieces, not the whole wing, these are decidedly more expensive. But, here comes the upset... Redneck wings, FTW! I loved them. Buffalo is pictured above, and they were OK. 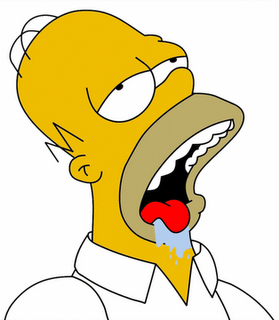 But the sweet and hot combo of the Redneck Buffalo blew me away. Good thing they were placed in front of me, so there were no fights. Even though the Stadium only serves "blanch" (wha?) aka bleu cheese and ranch, I really loved how crispy these wings were. You know the deliciousness that results from a crispy fried coating softened by some sticky, hot sauce. I can't stop thinking about them. I rather regretted the wing off in the middle of the night, but let's just know that the next time I'm ready for wings (I'll need a few weeks to recover), that I'm heading for these Redneck wings at the Stadium! 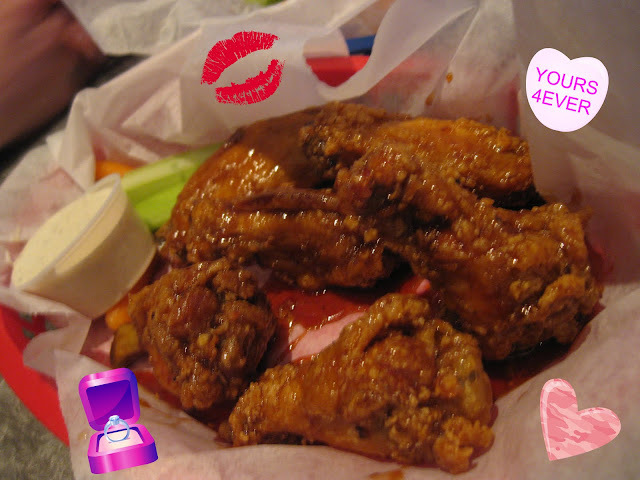 Also, I have railed against the breaded wings at the Stadium before. But I am prone to changing my mind- hence my blog, where I can chronicle my flip-floppery. I did something and didn't tell you about it. *gasp* I know- in a world of TMI, you're thinking, thank God. Someone keep their mouth shut about something. Then there's those times where I start something, don't document it, but then want to share it with you. Fortunately for me, the sauerkraut I started is still around, bubbling on the kitchen counter. 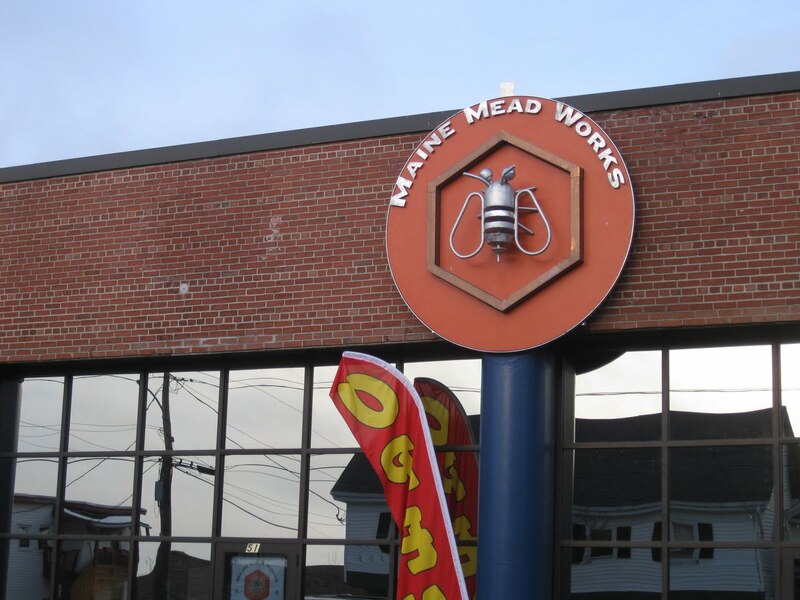 Most recently when Matt visited, we went and toured the Maine Mead Works facility, watched some mead violently fermenting, and inspired by all the talk of DIY fermentation, I started some sauerkraut. I had two small to medium sized heads of green cabbage in my crisper from my winter CSA share. 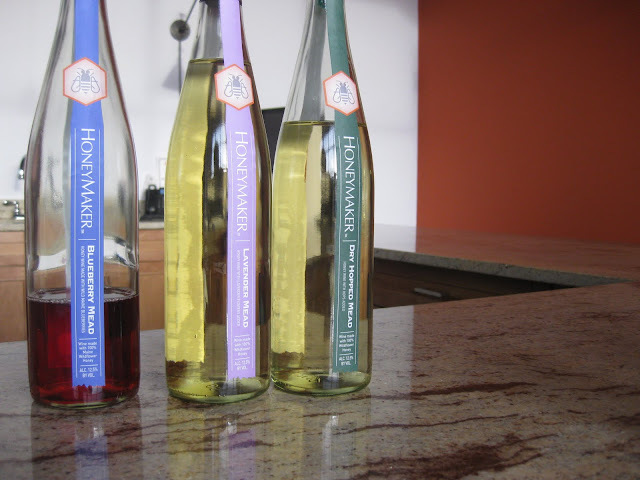 I shredded them using my awesome new mandolin slicer and made a brine of 1.5 tablespoons of salt to 1 quart of water. Usually, you salt the cabbage as you slice it, but I thought that since the cabbage was (shamefully) old, that it probably did not have a lot of moisture to draw out of it. So I just skipped that part and created my own brine. 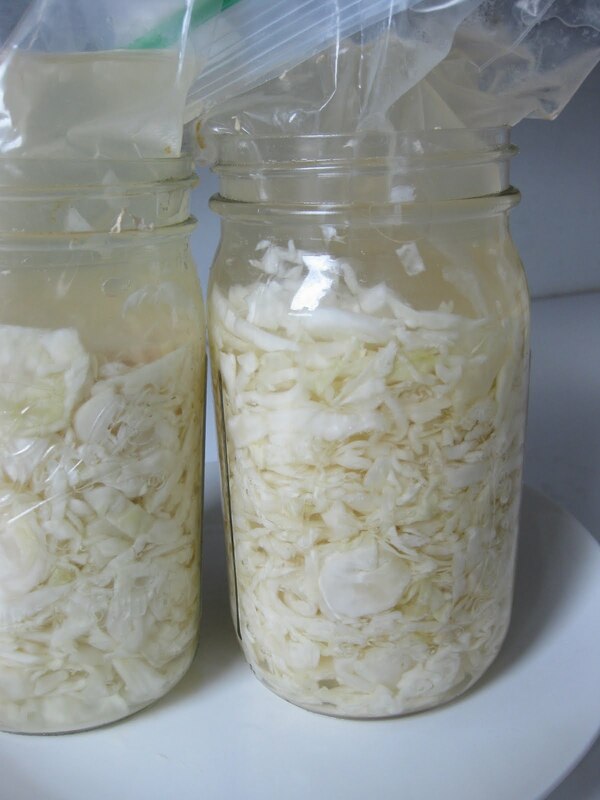 I packed the kraut into washed quart jars and weighted down the cabbage below the brine with plastic bags full of brine. I used brine instead of water, so that if the bag were to puncture and leak, it wouldn't dilute the salinity of the kraut brine. And that's it! I left it to ferment on my kitchen counter- that way I can check on it every day. 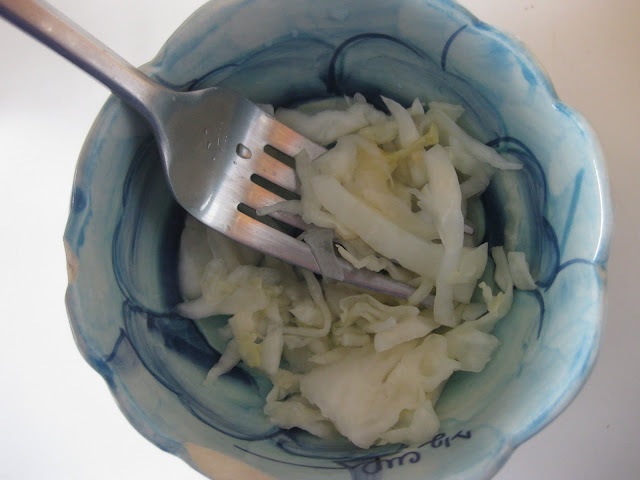 And after two weeks, it's definitely kraut-y, but the cabbage is still very crunchy. So I'm going to let it sit for a little longer before transferring it to the fridge. 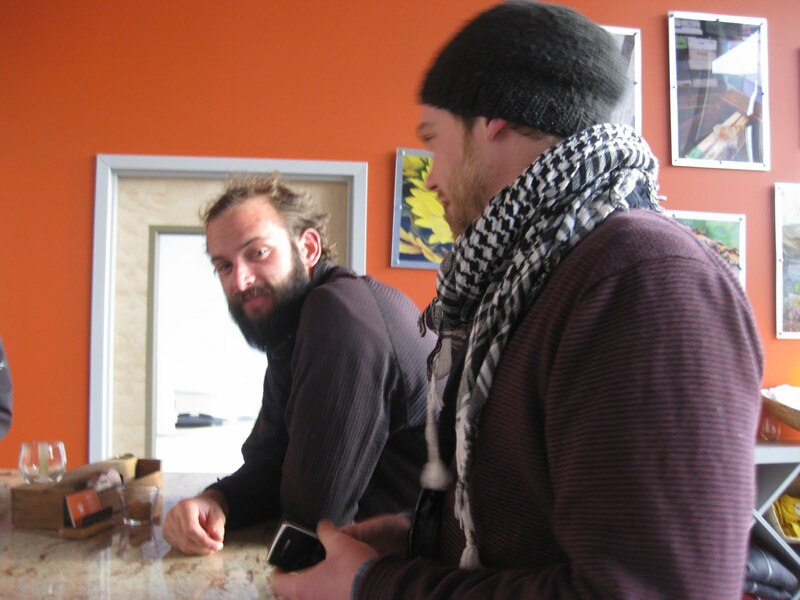 Also inspired by Matt's visit, was my purchase of the book, Wild Fermentation by Sandor Ellix Katz. 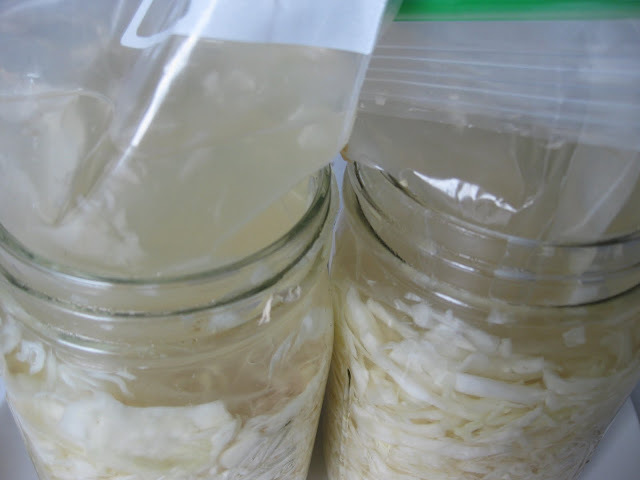 It's an awesome book that details how fermentation works, and then the process for making your own fermented veggies, yogurt, Kombucha, beer, wine, and on and on. Stuff I've never even heard of. And someone asked how my fermented pickles went from last summer. I didn't tell you that the end result was gross. They ended up in my friend's compost. I have no idea what went wrong, but I read in Wild Fermentation that any number of things could have happened. But after a few weeks, they tasted terrible. Like awful sea water. Sad. I'll try again when the cukes are back! Look what I found!! Spotted in the refrigerator section of pickles and bacon in the Portland Hannaford. It's Mailhot's Salted Herbs. Now, you know I heart their sausage, so I was excited to see a new-to-me French Canadian product. The ingredients are simple: salt, parsley, leeks, and scallions. Google taught me that herbs were preserved in salt before refrigeration was widespread. My co-worker with French Canadian relatives tells me it's used in pork pie. And of course, I infer that you can put it on anything relevant- meats, eggs, in soups, stews, etc. But does anyone know of any other traditional uses? Educate me! 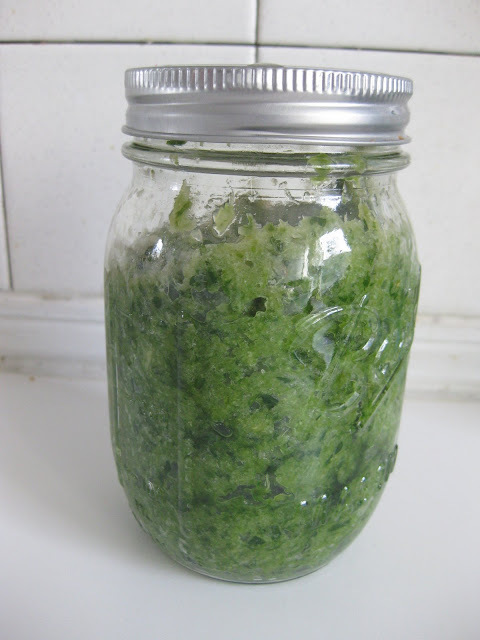 Update: After polling all the French Mainers I know, I believe there is no one specific use for herbes salle. Rather, it's just used in French-Canadian cooking, from omelettes, to soups and stews. Basically, if you'd add herbs or salt to it, you can use salted herbs. This jar does need to be refrigerated and probably can last as long as it'd take you to use it. 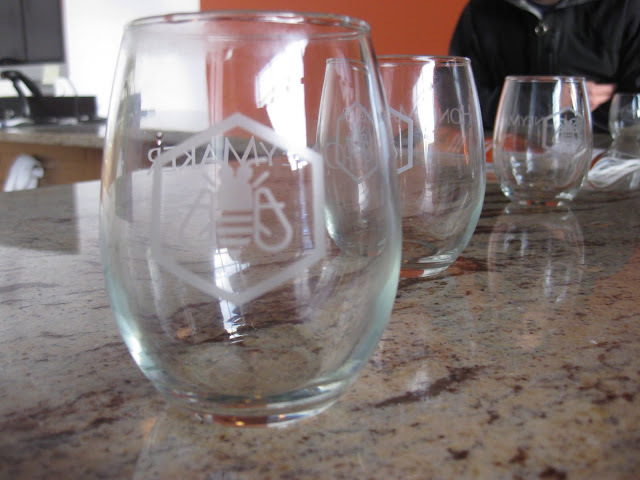 I'd keep it 6 to 8 months to be safe and of course, discard it if you notice any mold. It can easily be made- see this Food in Jars post for tips on making flavored salts or sugars. When I hit upon Fuel in Lewiston's menu, I immediately emailed Dawn of Appetite Portland. 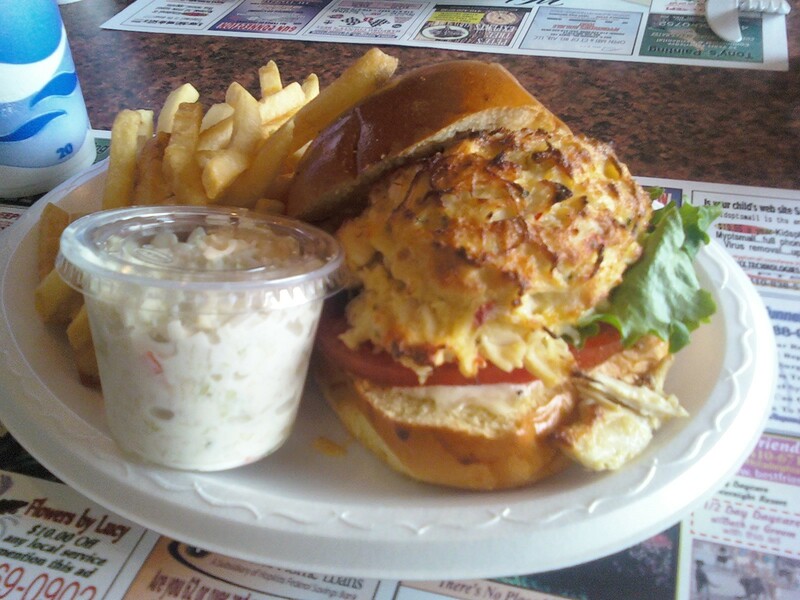 It sounded like a menu worth driving 45 minutes for, and it would satisfy my culinary wanderlust. Sold. But when I told people my plan, I was met with a lot of wrinkled noses and some "Why?"s. For those of you from away, the Lewiston-Auburn area (or L/A) gets pretty thoroughly trashed down here in Portland. The stereotype is that there's not much going on- some people make it sound like it's a Superfund site or something. Not being a Mainer, I hold fewer regional biases; although I have been pretty thoroughly traumatized by driving down L/A's plentiful thoroughfares filled with strip malls and fast food restaurants. But once you wade through all of that, Lewiston has a cute, burgeoning downtown area. The two cities have followed a typical pattern of industrial decline followed by urban renewal. And it must be noted, that Lewiston is home to Bates College, one of Maine's big 3 private colleges. 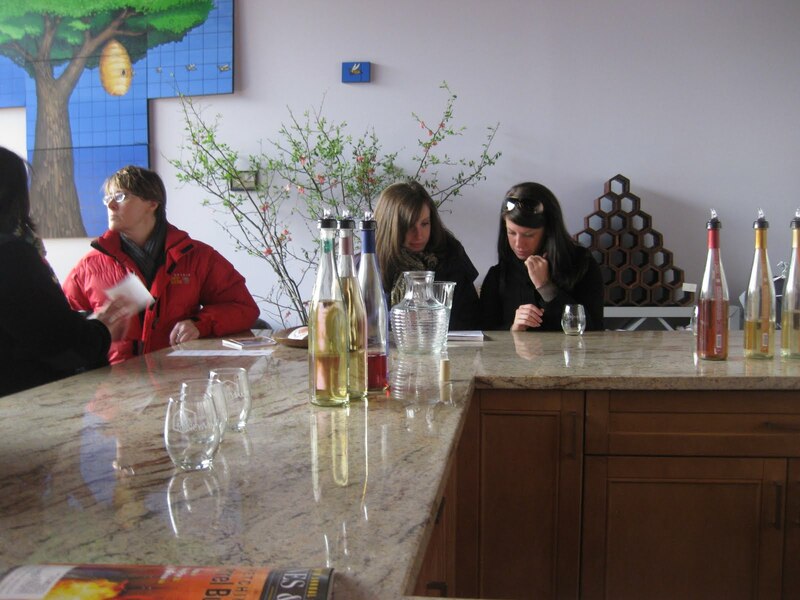 And where there's college students and professors, there tends to be cultural and culinary spots of interest. And I found Fuel to be a cross-section of the white, middle-class population in the area, a mix of old and young, with middle-aged ladies sipping lemon drop martinis and dudes in Bruins jerseys watching the game at the bar. But really we're here to talk about the food. 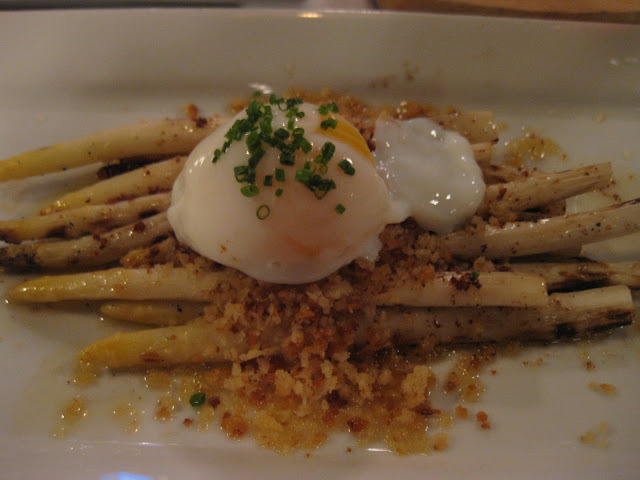 I went with Choice #3 from the Restaurant Week menu, which began with white asparagus cooked sous vide, then grilled. It was served with a sous vide egg and brown butter bread crumbs. We also added a charcuterie plate, which was unremarkable, and duck rilettes, which were pretty great. The asparagus was all things good- runny egg, crispy bread crumbs, and some asparagus to emulate health. However, it was very rich and tended towards the greasy side as I got near the end. 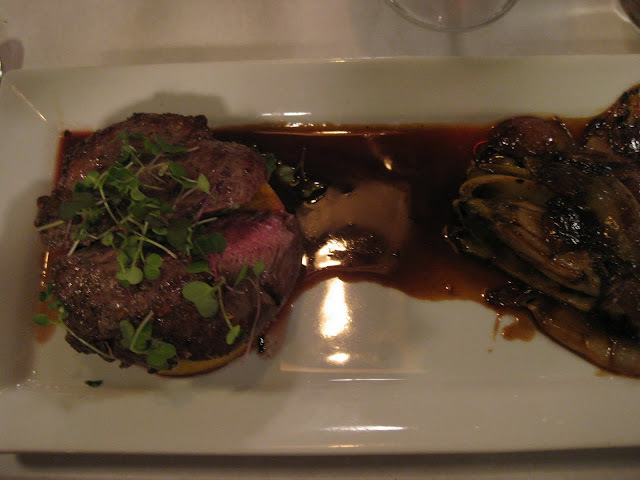 My entree was a lamb sirloin, roasted and served with grilled red grapes, radicchio, and endive, served in a red wine sauce. There was a cheddar polenta cake hiding under the big, beautiful piece of meat. For me, the meat took center stage. The accompanying ingredients had too many faults to create a cohesive meal (overwhelmingly bitter greens, boring polenta, salty wine sauce), but the lamb sirloin alone was excellent. The meat was prepared very simply, but with enough salty, crunchy bites to let the inherent flavor of the cut shine. It was the dessert, however, that made me feel like all the bickering over directions en route to Lewiston was worth it. 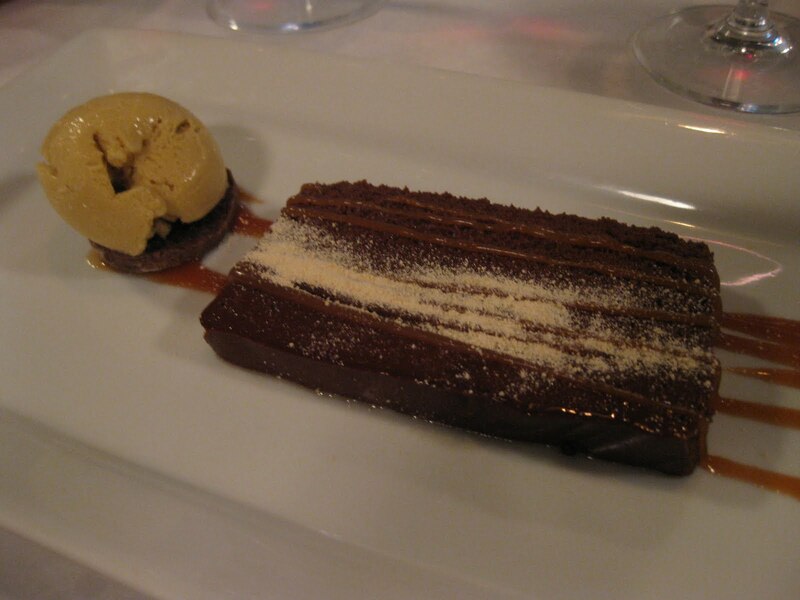 Chocolate torte with Maine sea salted caramel, malt powder and Guiness ice cream. The torte was fluffy and mousse-like, with rich chocolate, crunchy malt, and a salty caramel sauce. The combination of varied texture and great flavors came together to elevate this dessert to more than the sum of its parts. The first two of my courses are offered on the regular menu, so while you may not make it up there for Restaurant Week (although you should- at $30pp this menu is a bargain), you can still try the great lamb sirloin. My delicious dessert is not featured on the regular menu, but I trust that their pastry chef knows her stuff, and that you will be happy with her dessert du jour or her other preparation of the chocolate torte. 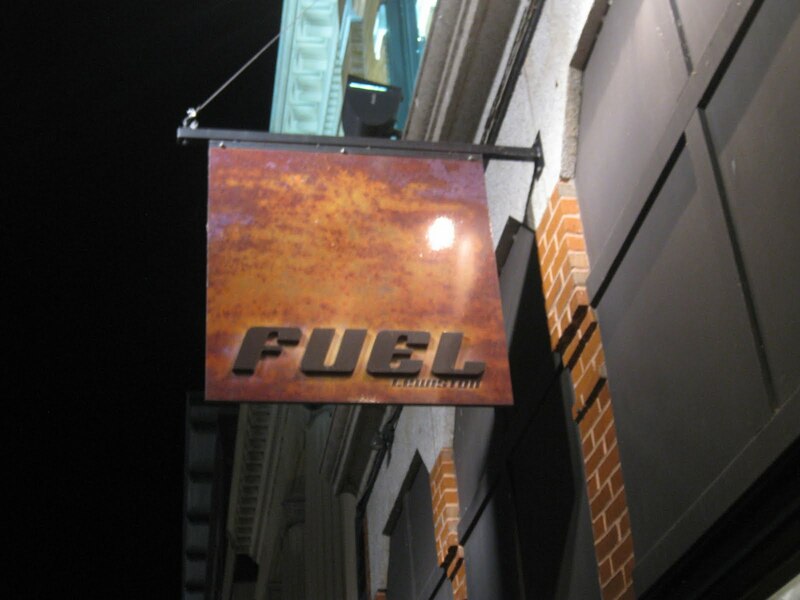 So if you ever find yourself suffering from post-traumatic strip-mall syndrome in downtown Lewiston, I recommend you check out Fuel for a modern twist on some French classics. 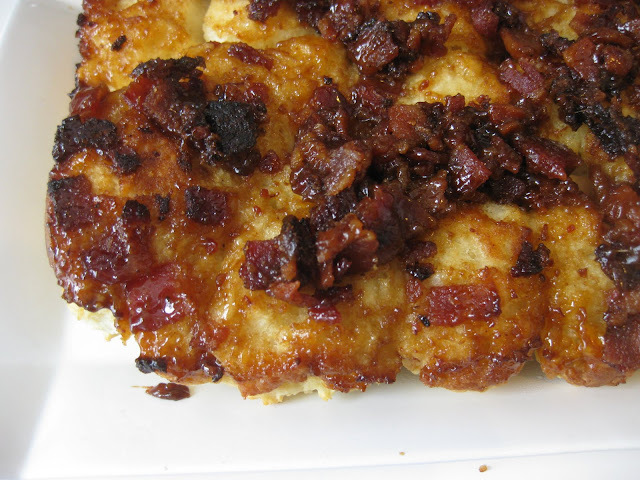 This breakfast bake is great for two reasons. First, the obvious one: maple bacon. Say no more. Second, the buttermilk Bakewell Cream biscuits. Light, fluffy, yet flaky, and crispy on top. Now does this say "Maine breakfast" or what? 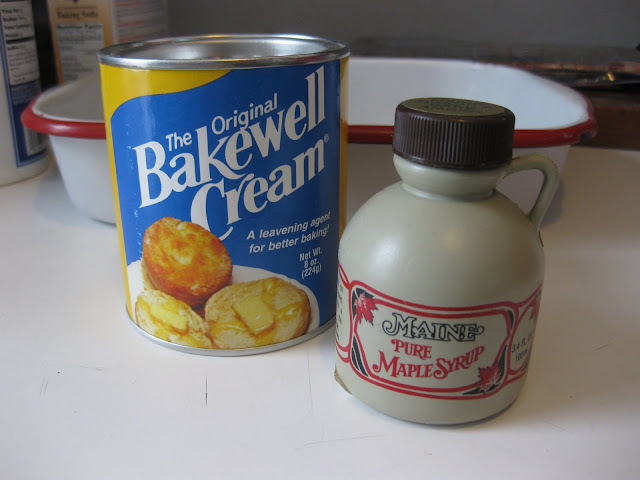 Maine maple syrup and Bakewell Cream. For those of you not in Maine or New England, Bakewell Cream is a leavening agent made in Bangor, Maine and the defining ingredient in these traditional biscuits. 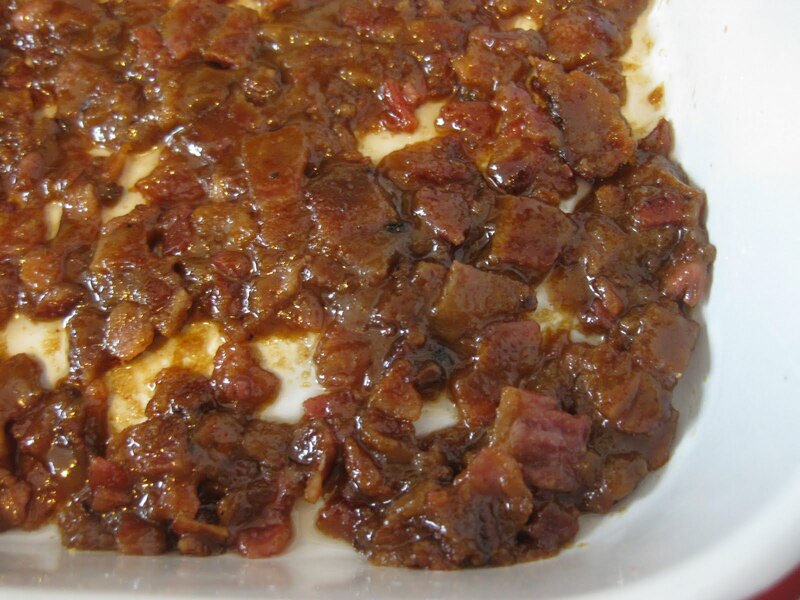 So to make this delightful brunch treat, you spread a mixture of cooked, chopped bacon, maple syrup, melted butter, brown sugar, and a little flour in the bottom of a baking dish. 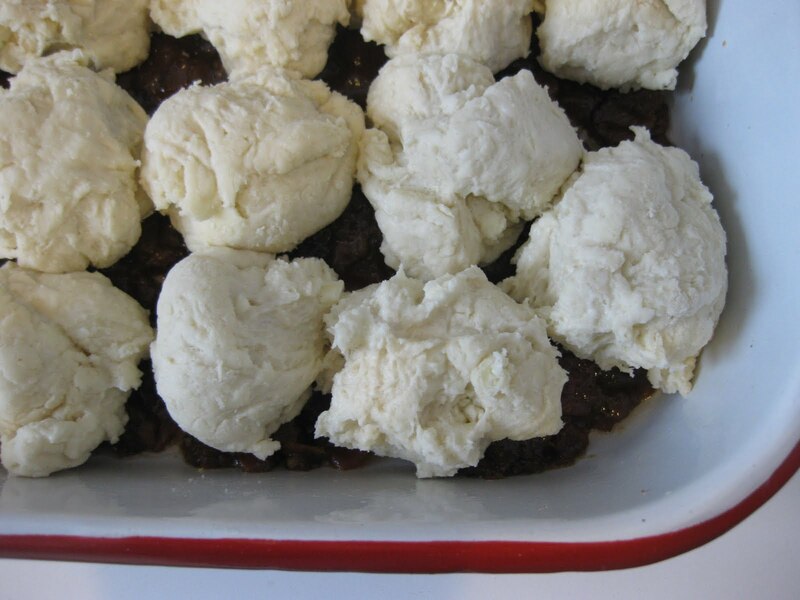 Then you drop large tablespoons of biscuit dough on top of the bacon syrup mixture and bake it all up. When the biscuits are browned, you invert the pan onto a serving plate and all the melty, sugary goodness drools out on top of the biscuits. Or at least that's how it's supposed to go. 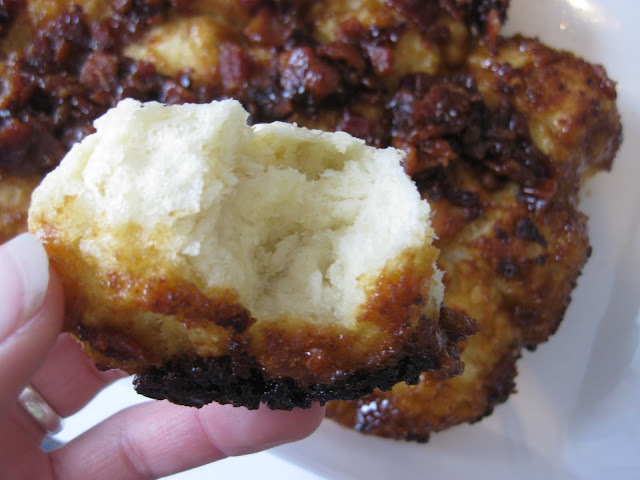 The biscuits turned out great, but for whatever reason, the bacon syrup mixture wasn't very liquidy. It kind of burned into the bottom of the pan and stayed there when I turned the biscuits out. Eek! But no complaints from the group of men I fed these to. I've actually had this same problem with the Monkey Bread I made from King Arthur Flour too. I was expecting more of a syrup than a hardened sugar topping. Hmmm... anyone have any ideas what's going on? Regardless, this recipe is awesome- for the biscuits alone! But top anything with a bacon syrup mixture, and I'm sold. If you're in New England, pick up some Bakewell Cream and give these biscuits a whirl, so you understand the magic.